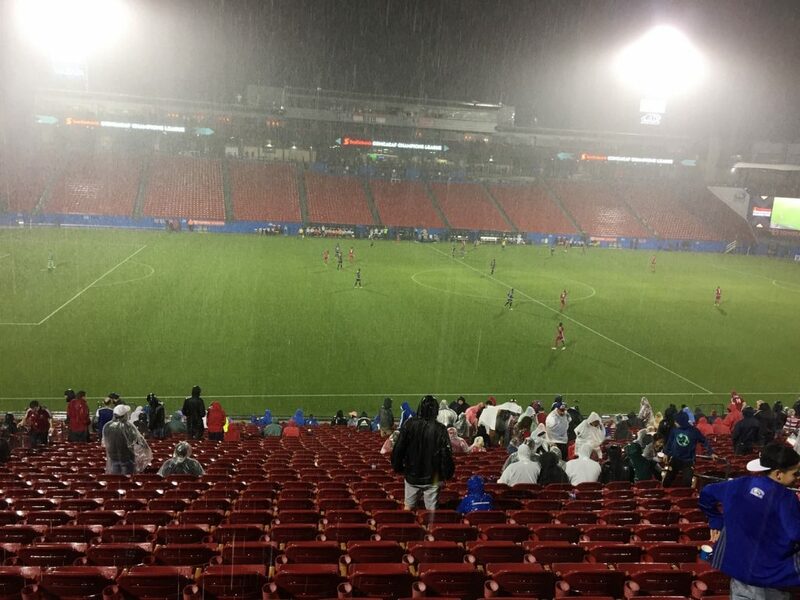 On Wednesday Chris G. road-tripped to Frisco to watch FC Dallas vs. Tauro FC in CONCACAF Champions League action. 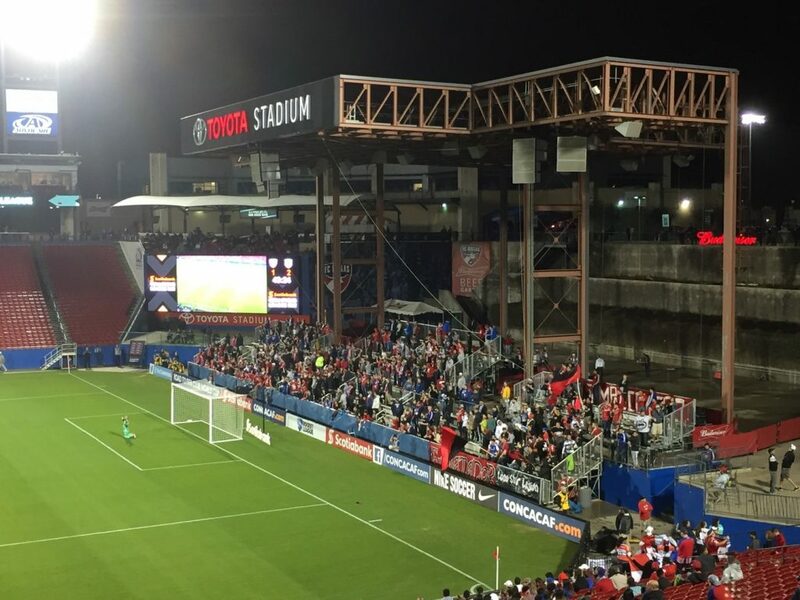 The plan was to take a quick trip north, visit our favorite University of North Texas student, and have a pleasant evening watching my MLS team advance through the first knockout round of CONCACAF Champions League. Some of that plan worked out, and some of it didn’t. With a rain forecast of 100% chance, my wife & daughter showed what fair-weather fans they are (literally), and sat this game out. Throughout a first half and halftime without a drop of drizzle, I started to feel silly hauling my hooded raincoat around with me. When the clouds finally opened up, though, I was glad to have it. 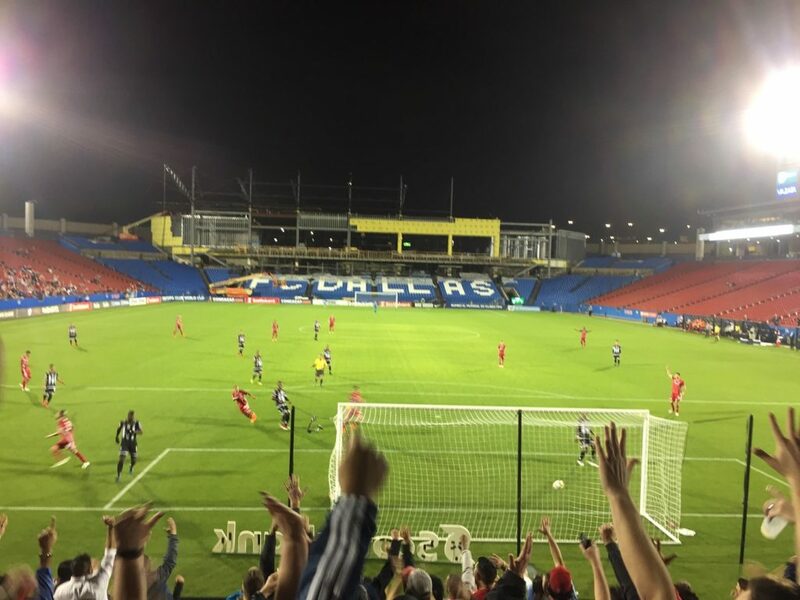 My $20 general-admission ticket gave me a chance to hang out in the beer garden for a while, and then move to a good midfield seat later on. 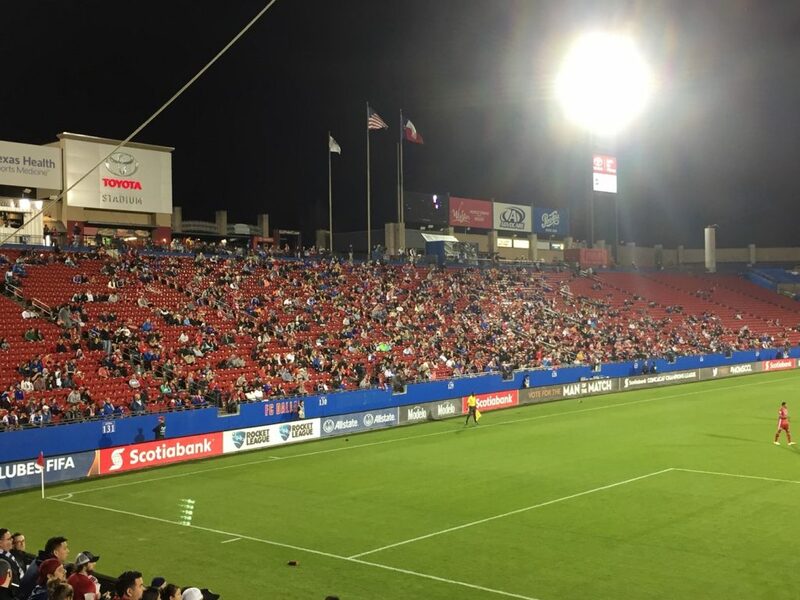 Attendance, never expected to be high for a midweek game in a competition that hasn’t exactly caught fire in the US, and surely impacted by the rainy forecast, was announced at just 3,318. The game itself wasn’t a bad one at all from a spectator’s point of view. Players on the Panamanian team rolled around on the field, good goals were scored (tragically) by both sides, supporters in the beer garden were in fine voice. There’s a special kind of cruelty to winning the game but still being eliminated from the tournament. 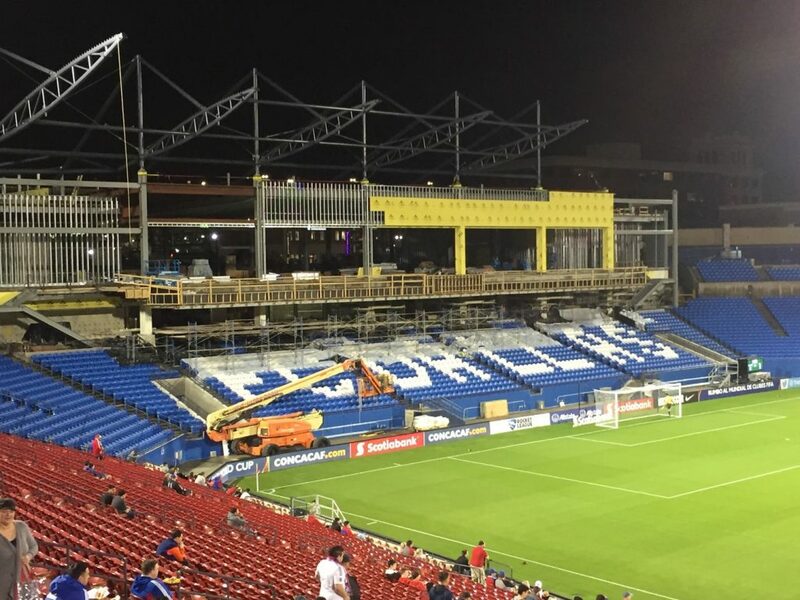 And though FCD fans like me can tell ourselves “this was still preseason” all day long, after the team’s collapse last year it feels like a pretty grim way to start 2018. Below, a few images from the night.